Earlier today, by way of an Instagram comment, Le’Veon Bell made the case that he will be exonerated in the allegation of missed drug tests. Bell’s statement seems designed to lead us to believe that he has a good case for appeal and will be able to get that discipline eliminated or reduced to the point where he doesn’t miss any time on the field. Last week Ian Rapoport of NFL Network reported that Bell missed “several” drug tests. As well, I have been told that he missed “a few tests”. While I was not able to get a definitive number, I presume that means more than two. Today, Stan Savran said that Bell claims having changed his phone number and having had no idea that the league was trying to reach him for testing. 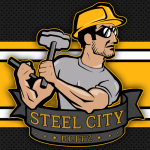 @L_Bell26 sez changed phone #, didn't know bout test. Sez won't miss games. U buyin' it? #Bucs win just enuf to cloud trade pic. What to do? 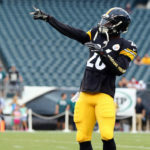 Let’s set aside the realistic expectation that players who are a part of the substance abuse program are required to notify the league of any change in their contact information and assume that Bell will somehow be able to convince the league that his multiple missed drug tests were not intentional even though the chances of that happening seem slim. The policy is still very clear and it does not benefit Bell in this case. A missed test when it is deemed to have been an intentional miss counts as a test failure. But, a missed test under circumstances that are viewed as “excusable”, a scenario where the player is not culpable for the skipped test, he is still subject to discipline. Miss one test and the player is subject to a fine of as much as $25,000. Two missed tests, he is fined 2 game checks. If he misses three tests and those are deemed as non-culpable misses, misses where he was not at fault; he is suspended, just as he would have been had he actually failed three drug tests after going into the Substances of Abuse Program. As things stand, substance abuse appeals are not handled by the NFL or Roger Goodell. They are heard by a panel of neutral arbitrators. That may be why Bell and his representatives feel like they have a chance at making a common sense argument that reverses the course of his discipline. It seems like a long shot, but let’s hope that Bell’s representatives can somehow make a case that gets one, or more, of his missed tests completely excused. Otherwise, he will be sitting out four games. My guess is that regardless of how favorable the outcome of the appeal is he will, at minimum, be paying a hefty fine. I want to stress that this probably has the longest of odds of succeeding; but the other possibility is that Bell is trying to get one or more tests deemed as non-culpable, so that he can be fined and that he and his representatives believe that the remainder will be deemed as voluntary misses. If Bell was fined $25,000 for one missed test and then had the other two missed tests ruled as voluntary misses, they would count as failed tests. If Bell’s only previous violation was in 2014 when he was arrested for DUI, those failed tests will be his second and third violations under the Substances of Abuse Policy. The 2nd violation under the policy would be a 2 game check fine. The 3rd is a four game check fine. Thus, Bell would be fined a gigantic sum of 6 game checks plus the fine for missing a test while “excused”. On the “bright” side, he would not miss any time on the field. I guess we can hope that is what happens. However, that seems awfully unlikely. Six weeks pay for Le’Veon Bell is $341,259. That seems like an awful lot to pay to get your phone number changed. 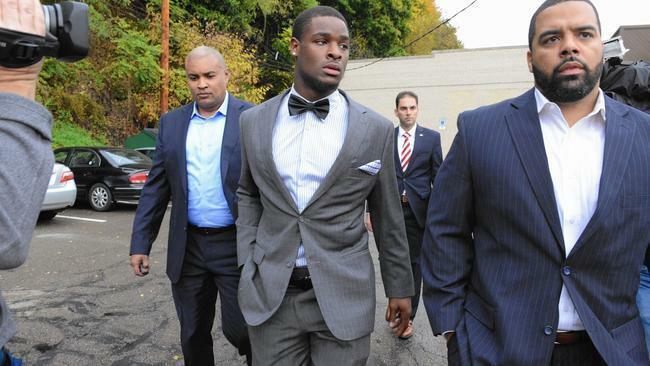 Is There Hope of Le’Veon Bell Winning His Appeal? When you make make a mistake and own up to it, well that’s what men do. When you make make a mistake and continue down that path , then B.S. about the reason why. Then it’s pretty obvious you have and on-going issue. I really hope i’m wrong. Unfortunately, I cannot disagree with your assessment. I wish I could. I hope that there are factors here that we don’t already know. Time will tell, but it’s not looking good.